We don't see enough Drew Struzan-ish poster art for upcoming movies any more. Luckily, there's this gorgeous artwork for The Hobbit: The Desolation of Smaug, featuring lots of elf and dwarf action. 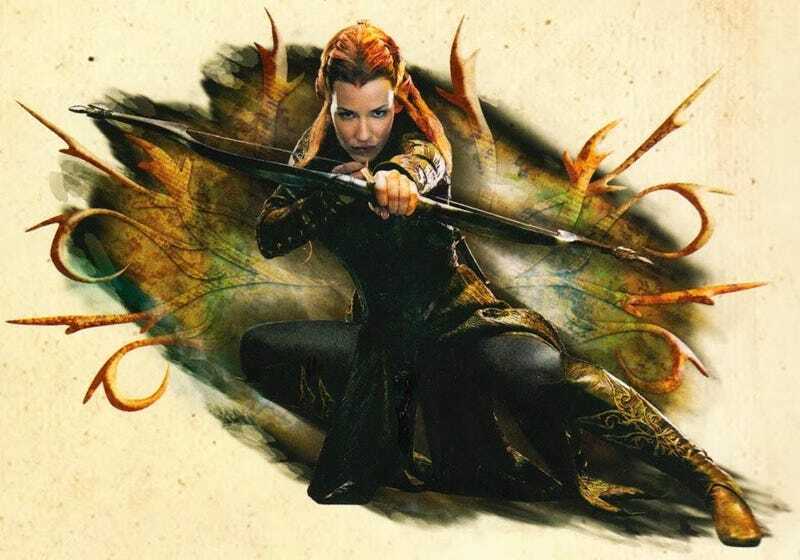 These images come from The Hobbit: The Desolation of Smaug Annual 2014 (via TheOneRing.net) and they fill your all-important elf-glamor-shot quota.